There Are Millions now available on paperback – Jeanette Michelle's eighth published book- second nonfiction book published. NASHVILLE, Tenn. - Feb. 22, 2019 - PRLog -- "There Are Millions" Jeanette's new novel that talks about her theory on acceptance and a change in her life. The book is a description of how life can often throw you a curve ball and how to turn a frown upside down. Jeanette explains her theory on how others share the same views, emotions, and setbacks and should remember that we are not alone. There are Millions describes an extraordinary look on anyone's life and this book lead by examples. An exciting read that will challenge you to evaluate your life. Jeanette Michelle continues her journey as a writer, author, and producer excited about her new release, and there are more to come. To know more about Jeanette visit www.iamdark.com and click on the link Jeanette Michelle. 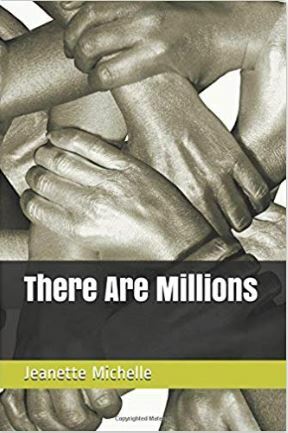 "There Are Millions" is available in paperback on Amazon.com. For additional information and where to purchase visit www.iamdark.com and click on the link new releases. If interested in interviewing this author contact Autrey at autrey.rice@iamdark.com.